The Hindu. Birdwatchers fan out their wings. By M. T. Saju. The Hindu. Great backyard bird count outcome by month-end. By G. Venkataramana Rao. The Hindu. Backyard bird bonanza. By Divya Gandhi. Times of India. Backyard bird count spots over 80 species in Vidarbha. By Manka Behl. Hindustan Times. Indian birdwatchers are flicking together in droves. By Chetan Chauhan. The Hindu (Tamil): ‘In search of colourful messengers – On Pongal Bird Count and GBBC‘. By P. Jeganathan. 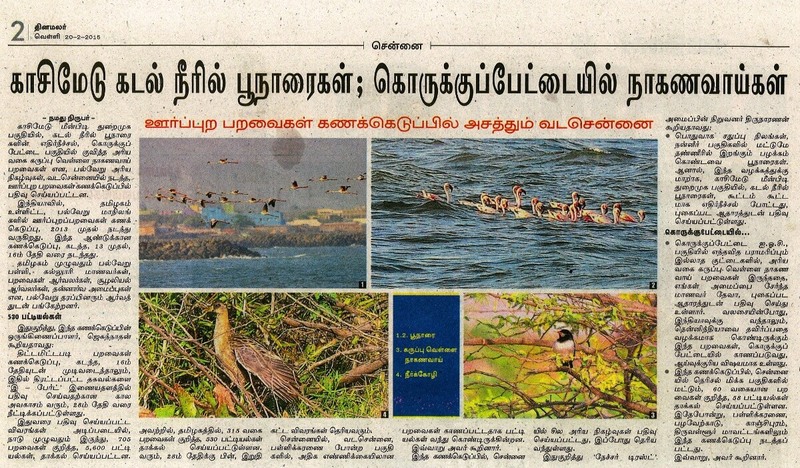 The Hindu (Tamil): ‘On sighting Greater Flamingos in Salem during 2014 GBBC‘. By Ganeshwar S. V.
Citizen Matters: Count the birds this Valentines Day, in Bengaluru. By Ganga Madappa. The Hindu: ‘Backyard count’ reveals 400 birds on college campus. By S Poorvaja. The New Indian Express. Nationwide backyard bird count begins. By S. Senthil Kumar. The Hindu: Bird count to be conducted from February 13 to 16 in Salem. The Hindu: Great backyard bird count from today. By K.S. Sudhi. Bangalore Mirror: Get set to join global backyard bird count. By Kailash Kaushik. Deccan Herald, Bengaluru: Bird-watchers can now contribute to avian census. By Bosky Khanna. Navhind Times (Goa): Counting birds of your backyard. The Hindu: Madurai gets rare winged visitors. By A. Shrikumar. 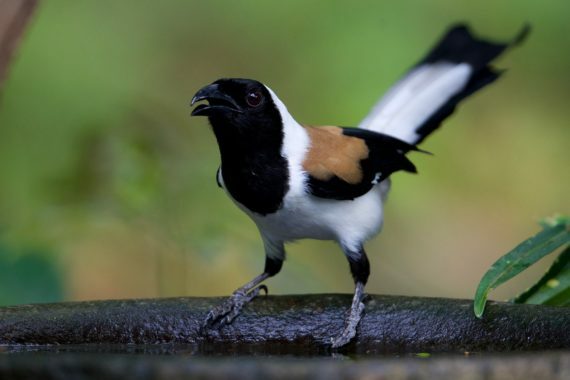 Andaman Chronicle: 4-day global great backyard bird count to begin from 13th Feb. By Denis Giles. The Hindu: Head out for the great backyard bird count. By Divya Gandhi. Times of India: Delhiites keep eyes peeled as this bird count not for experts only. Scroll.in: World’s largest bird count begins this week, but won’t do much for conservation in India. By Mridula Chari. Business Standard: A bird watcher in every balcony. By Veenu Sandhu. Times of India: Bombay Natural History Society lends support to annual global bird count event.